If there is one way to look like an elegant lady before and after death, then it is to dress stylishly. After you come back as the walking dead, as long as you are wearing your Zombie Lady Costume, you will continue to look pretty. 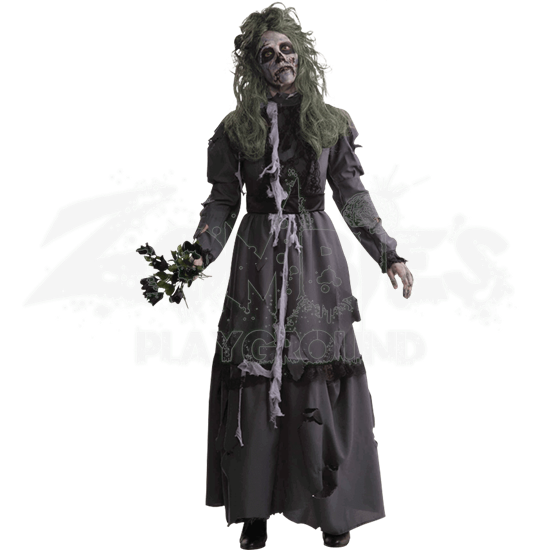 This nice gothic costume consists of a simple yet pretty old time dress that is gray with a full-length skirt and long sleeves. The dress collar is tattered around the edges, while small rips, cuts, and tears are located across the surface of the dress. Black lace decorates the bodice and the skirt, while white gauze is draped over the dress in places to enhance its ghoulishly tattered look. Also included with this dress is a black belt that complements the look and style of the dress. This costume is available in one size, which fits between a 34 to 38 inch chest and a 26 to 32 inch waist. Included with the costume are the dress and the belt. The wig, flowers, makeup and shoes are not included. When caring for this costume, it should be hand-washed with cold water and mild detergent, and then dried flat. 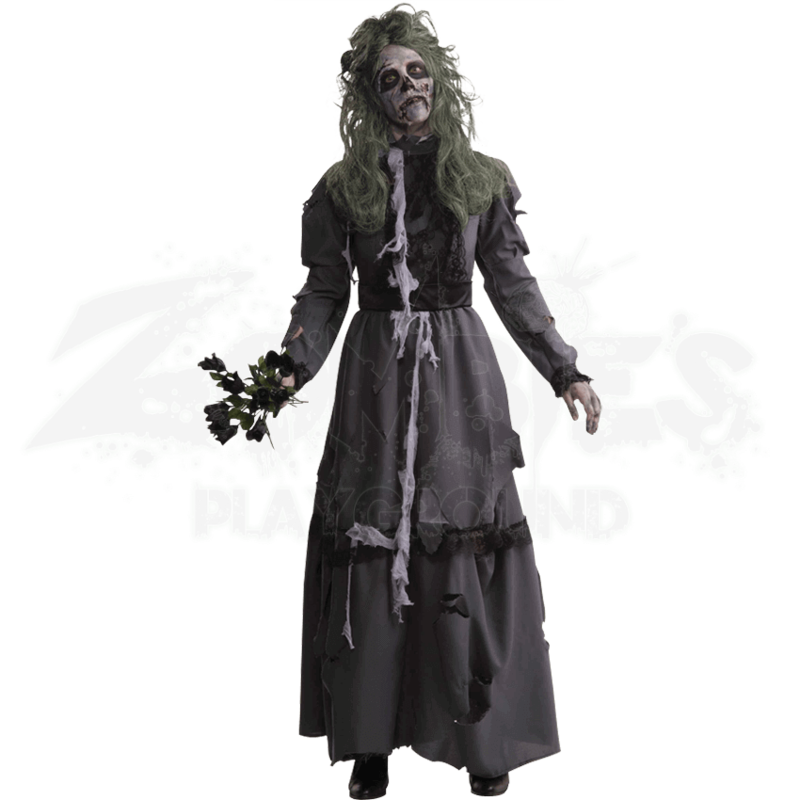 The Zombie Lady Costume is the perfect choice when a woman wants to retain her style and elegance from life, even when she joins the ranks of the walking dead.